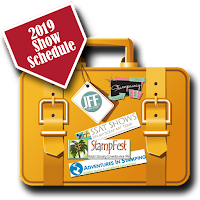 The stamptangle line is the hook that first drew me in to JFF Stamps. 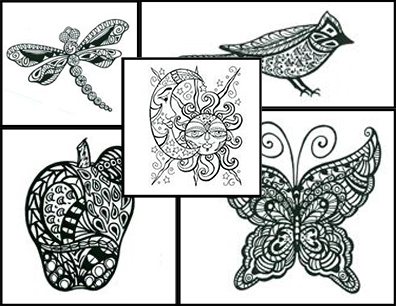 The zentangle-like designs that fill the images make them so unique and different! 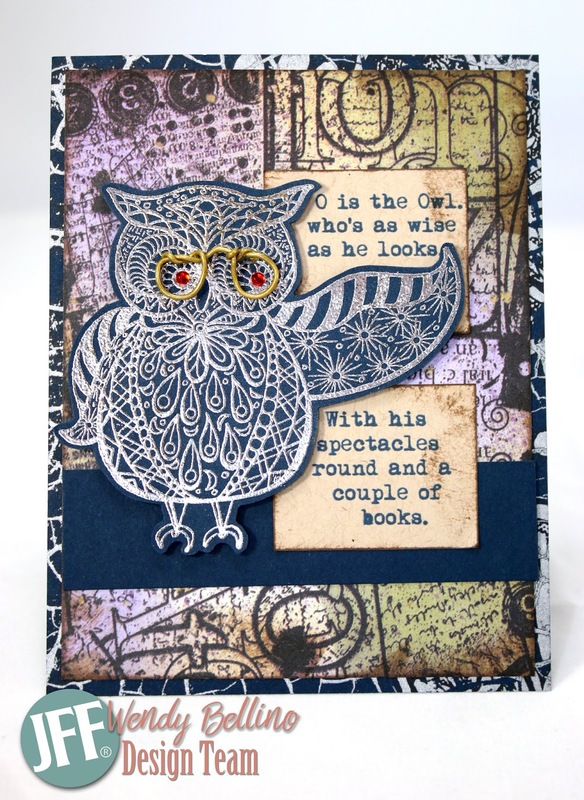 I chose the Stamptangle Owl Be There image for my card today. I stamped the image onto navy card stock with Versamark ink and heat embossed with silver embossing powder for a bold effect. I fussy cut the image and mounted with foam tape, and I finished him off with a pair of spectacles made gold Fun Wire! I used the sketch from Tuesday Morning Sketches to design the background for a fun layered look. 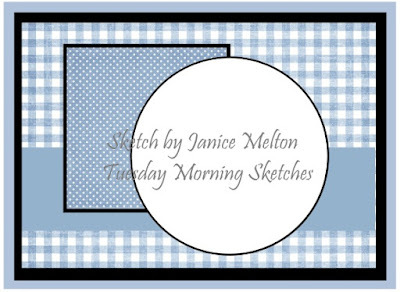 I took a little extra liberty with the sketch to suit my card design. The JFF monthly challenge is still going strong! This month is a color challenge and we'd love for you to join us for a chance to shop at JFF Stamps. 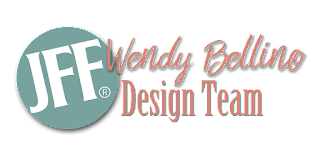 Click HERE to link up your project! I'll look for you in the gallery! Love the silver embossing! I never know what to do with images like these. Beautiful card, Wendy!